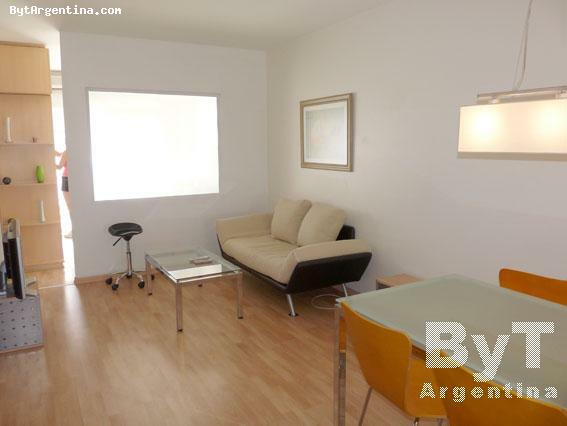 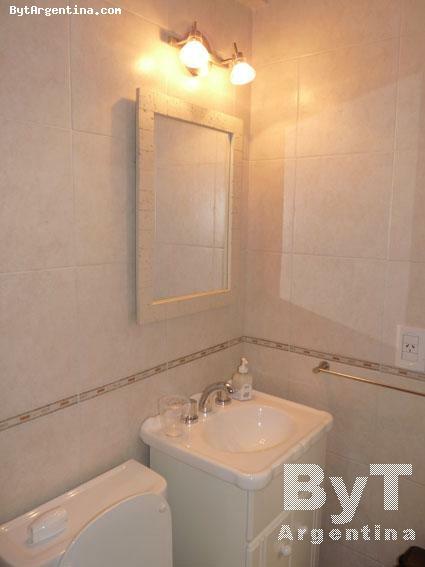 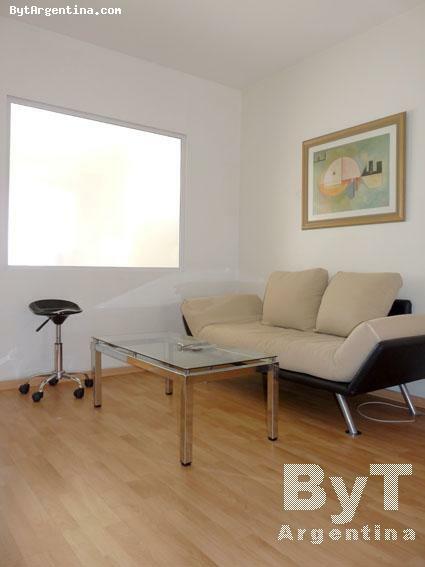 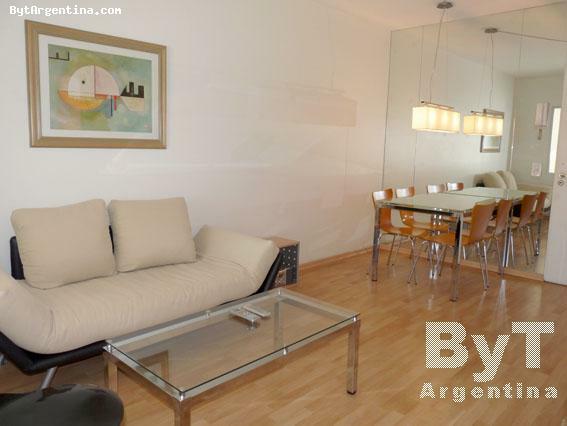 This is warm and bright apartment is greatly located just half a block from the Santa Fe Ave., traditional street full of stores, restaurants, bars and cinemas. 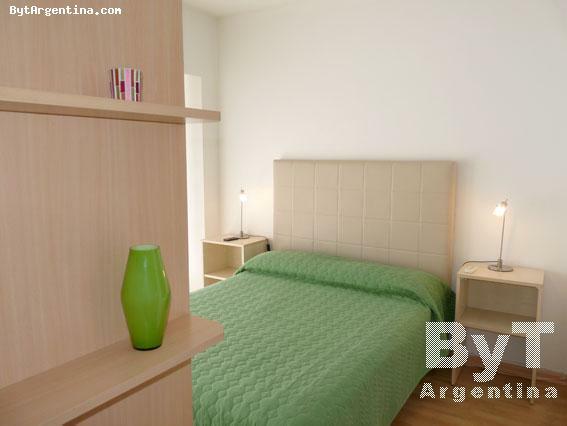 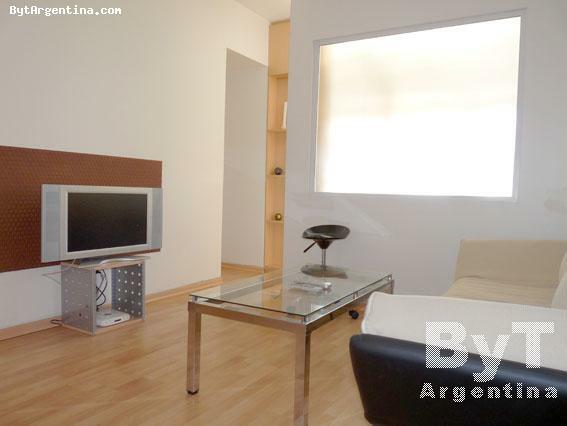 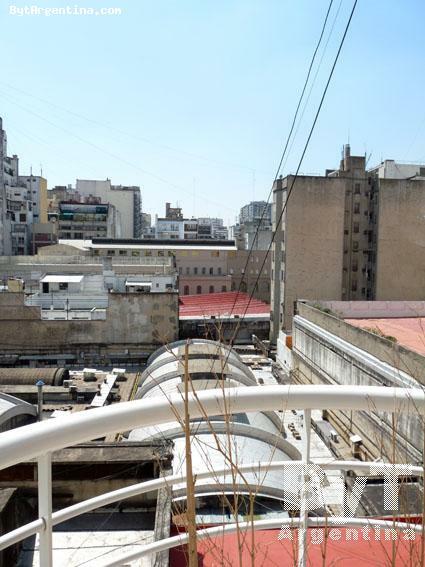 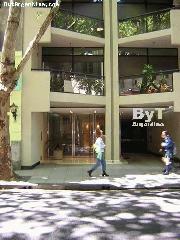 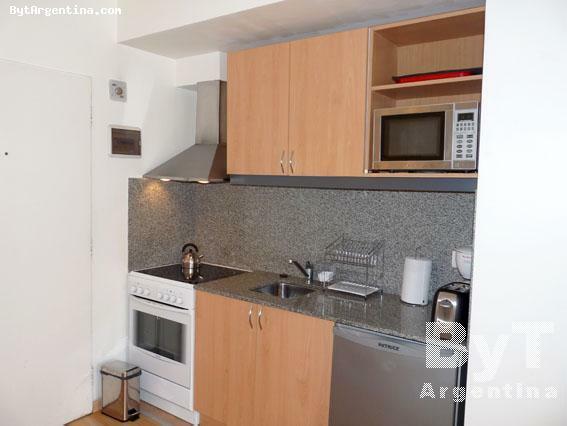 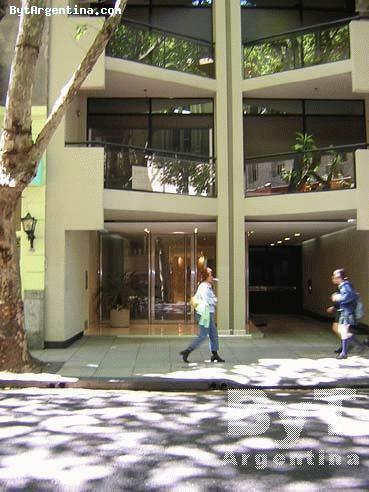 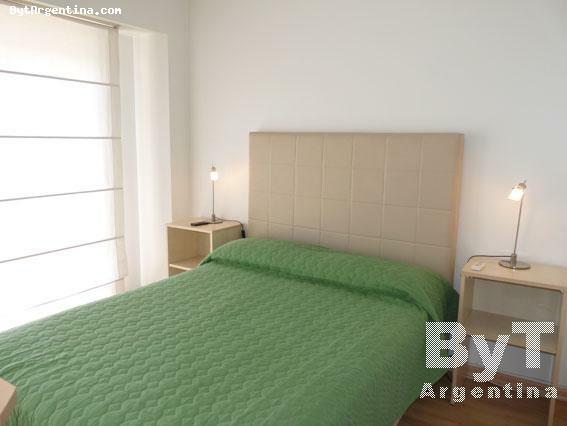 Also, walking distance to Recoleta center, main tourist attraction. 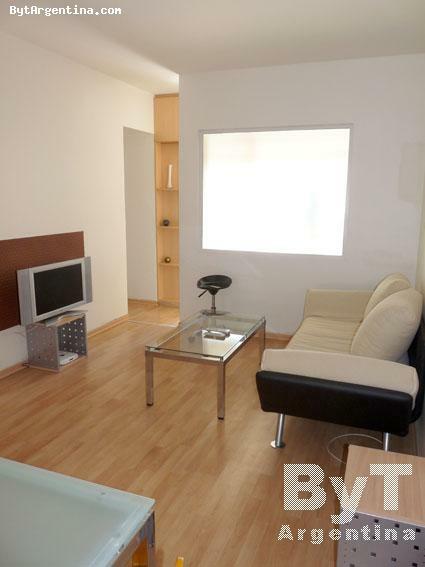 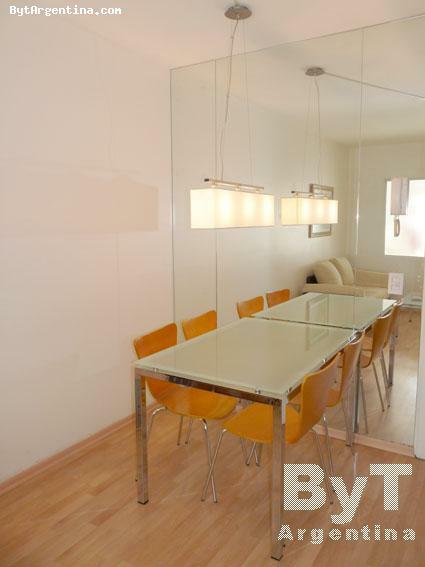 The flat offers a living dining area with a sofa bed and a dining table for four people, a bedroom area with a double bed, one full bathroom, an equipped american kitchen, and a nice balcony facing the backyard. It is equipped with Internet (WiFi), cable TV, air conditioning, refrigerator, microwave, dishes, kitchenware, linens and towels. 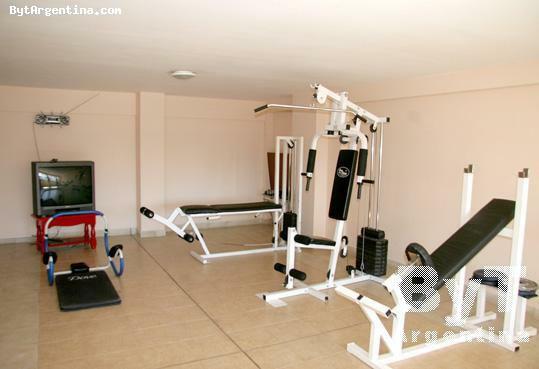 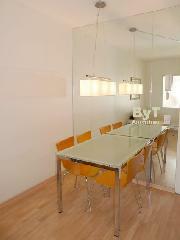 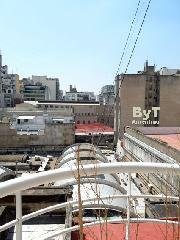 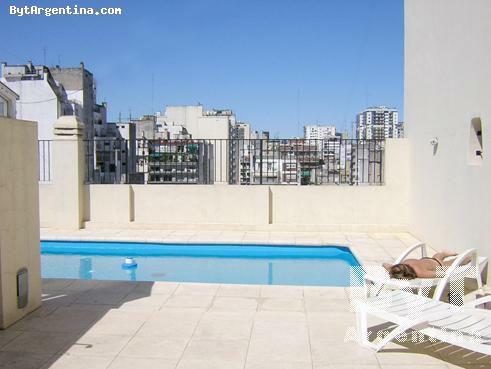 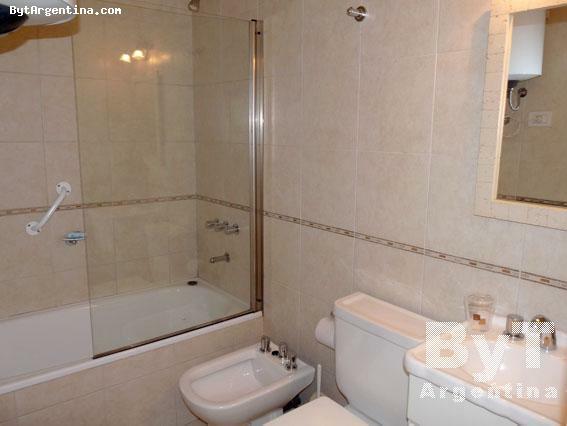 The building has a swimming pool on the terrace (available only in summer season), gym, sauna and laundry.